In the beginning, there was a coloring book. "Look at this, children" she said. "Look at this silly picture. Everybody knows cows are black, brown, or white. Never, ever are cows blue." Lucky for Roger Rabbit fans, Gary K. Wolf ignored the harsh words of his first grade teacher when she criticized him in front of his fellow students. His crime: handing in a coloring assignment with a picture of a cow he had colored bright blue. "I had heard my mother say that when people were sad, they were blue. The cow looked so lonely out there all alone in the field. I figured she must blue, too" says Wolf. "When my parents heard what I'd done, they gave me the greatest gift two people can offer a child. They encouraged me to keep coloring cows blue. They taught me to believe in myself, my visions and my creative talent." From a lonely blue cow to a goofy white rabbit. With this simple foundation, Wolf went on to become a successful author, screenwriter, lecturer and entertainment consultant. 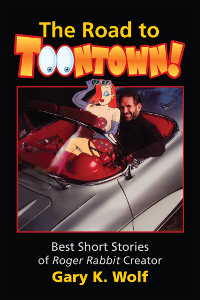 He is best known for his creation of Roger Rabbit, the zany cartoon character who cohabitates with humans. Wolf's ground breaking novel Who Censored Roger Rabbit? went on to become the 1988 Academy Award-winning Walt Disney/​Steven Spielberg blockbuster film Who Framed Roger Rabbit. Wolf's interest in animation and writing began when he was a child growing up in the Midwest. "My parents encouraged me to read. Anything. As long as I read. Being a kid, I read comic books and almost nothing else." 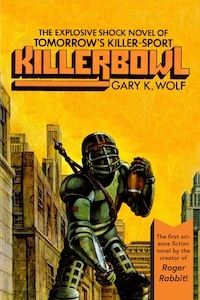 Wolf's choice of reading material eventually expanded from comic books to noir mysteries and science fiction. He became an acclaimed science fiction author with three published novels. For his fourth novel he decided to write something radically different, something that would combine his love for his three favorite genres, comics, mysteries, and science fiction. But what? It was watching Saturday morning cartoons "for research purposes" that inspired Wolf's idea for Roger Rabbit. "It was during the commercials," says Wolf. "I saw Tony the Tiger and the Trix Rabbit, and Cap'n Crunch, cartoon characters, talking to real people. And nobody seemed to think that was odd. I thought, 'What a great idea for a novel. A place where Toons lived side by side with humans.' I wove that into a mystery, and bingo, I had my book." His innovative concept was the basis for the novel Who Censored Roger Rabbit? As in the case of his blue cow, Wolf found his idea hard to sell -- this time to publishers. 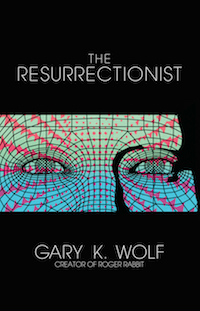 Even with three well reviewed science fiction novels to his credit, it took Wolf two years and 110 rejections to find a publisher for his unusual book. "Publishers told me it was too esoteric. Too weird. Nobody would understand it," Wolf explains. Finally, a small publisher took a chance and brought it out. Soon after, Walt Disney Pictures came calling. Disney and Steven Spielberg teamed up to make Who Framed Roger Rabbit. The film became the most critically acclaimed and highest-grossing film of 1988, bringing in more than $750 million at the box office as well as four Academy Awards. A Toontown full of blue cows. For Gary K. Wolf, a simple philosophy of believing in an idea and seeing it through - whether it be a blue cow or a madcap rabbit - paid off. "I color cows blue," he says, "and make people happy! That's my fondest childhood dream come true."